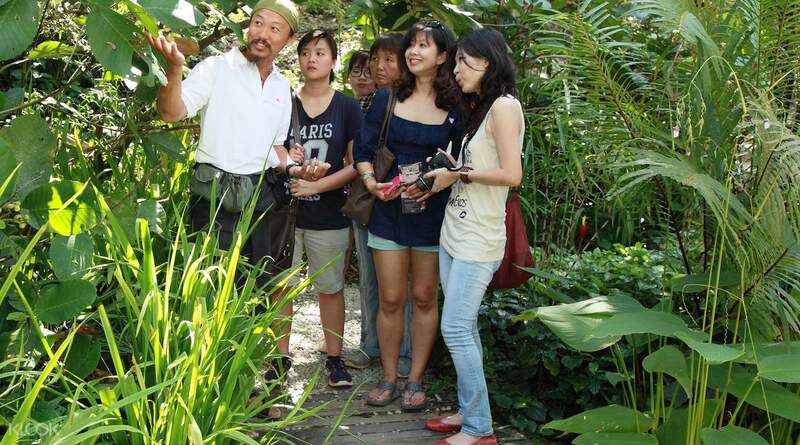 A trip to Penang isn't complete without a day trip to Tropical Spice Garden, the first of its kind in Southeast Asia. 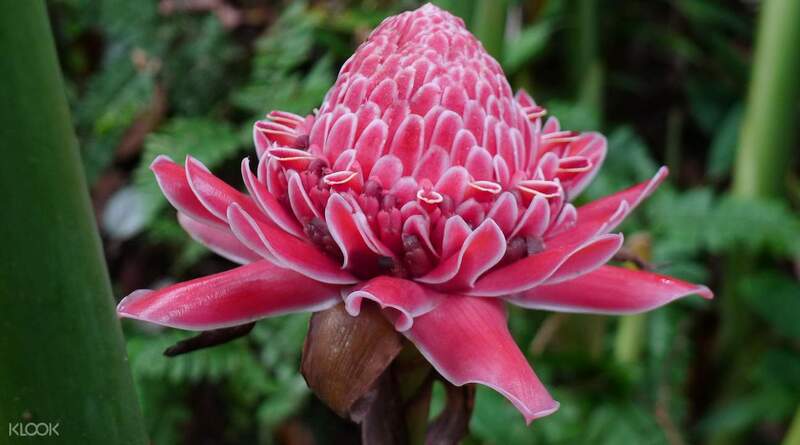 The garden is a lush and lanscaped 8-acre garden with over 500 species of flora and fauna for you to see! 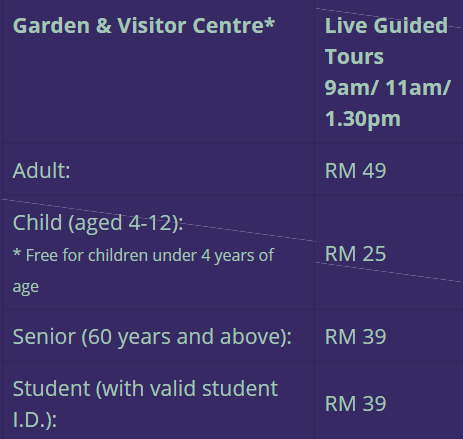 You can opt for a live guided tour or an audio tour and whatever you decide, you'll definitely learn something new, and maybe see a plant or two you've never seen before! After walking through the garden, you can even visit the outdoor cafe that overlooks the Straits of Malacca, and get a chance to sit back and relax to admire the fantastic environment. Before you leave, drop by the gift shop for some Malaysian-made gifts, or premium spice therapy spa products - a great souvenir from a trip to the Tropical Spice Garden. Such a great place to visit. I chose the audio tour. Once I got there, I was given the audio equipment and the map with route and numbers. Everytime I saw a number, I just put the same number into the equipment and then the information came out. But one thing that wasn't informed well, we have to bring our own earphone. luckily, my earphone is always on my bag. The place is like a forest with path that isn't slippery. At some point, there would be a free drink with different menu everyday. However, I found many plants that weren't in place. Maybe because they are seasonal plants? Or simply already dead and no replacement? I don't know. 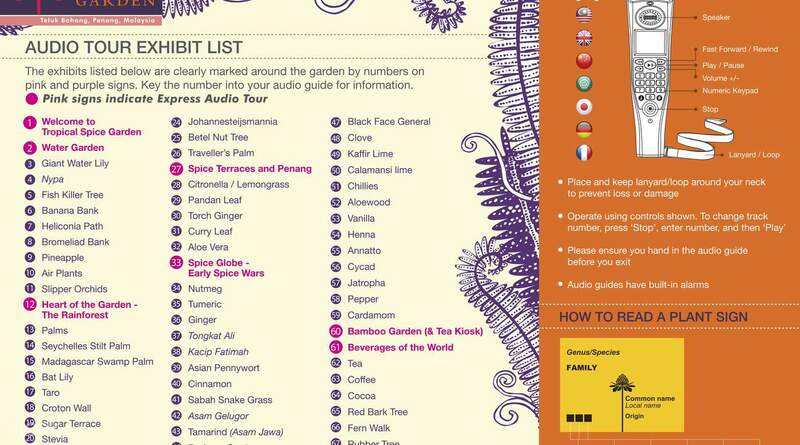 Tropical Spice Garden is easy to reach by Rapid Penang 101, it has its own bus stop with fare 3.4 RM from Georgetown. Such a great place to visit. I chose the audio tour. Once I got there, I was given the audio equipment and the map with route and numbers. Everytime I saw a number, I just put the same number into the equipment and then the information came out. But one thing that wasn't informed well, we have to bring our own earphone. luckily, my earphone is always on my bag. The place is like a forest with path that isn't slippery. At some point, there would be a free drink with different menu everyday. However, I found many plants that weren't in place. Maybe because they are seasonal plants? Or simply already dead and no replacement? I don't know. Tropical Spice Garden is easy to reach by Rapid Penang 101, it has its own bus stop with fare 3.4 RM from Georgetown. A lot of interesting plants and flowers. Very interesting place to cisit and learn about unknown species. Also gift shop is great. A lot of interesting plants and flowers. Very interesting place to cisit and learn about unknown species. Also gift shop is great. The tropical spice garden is a must visit in Penang, particularly if you are a foodie. it was great to learn about the different spices and herbs. Tickets were cheaper through Klook and the redemption was quick and easy. I would recommend the thai restuarant on the premises- great food and a spectacular view. 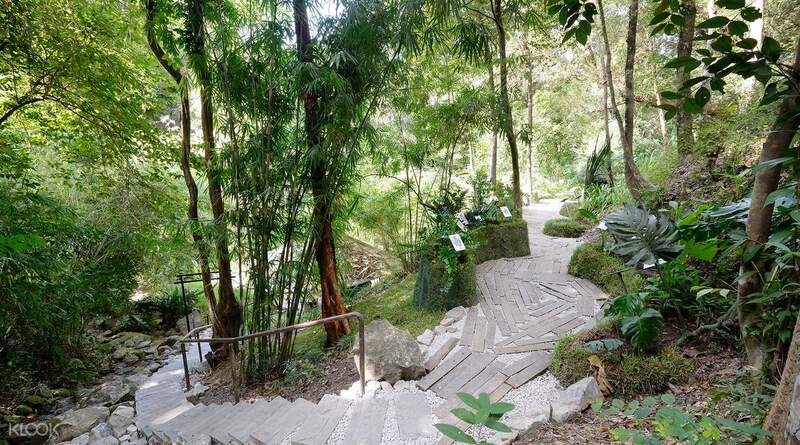 The tropical spice garden is a must visit in Penang, particularly if you are a foodie. it was great to learn about the different spices and herbs. Tickets were cheaper through Klook and the redemption was quick and easy. I would recommend the thai restuarant on the premises- great food and a spectacular view. Must try this if you go to Penang and wanna try something different that strolling around Georgetown. Enjoy the swing inside and nearby beach. You can refresh your mind and also learn more about herb and spice. Must try this if you go to Penang and wanna try something different that strolling around Georgetown. Enjoy the swing inside and nearby beach. You can refresh your mind and also learn more about herb and spice. Some confusion on arrival as the staff at the ticket office were unaware of the Klook voucher system but it didn't take long to sort out. The garden is an oasis in Penang and to look round fully could take 2 hours but if short on time, 30 minutes is enough. There is also an excellent Thai restaurant (Tree Monkey) on the same site. Some confusion on arrival as the staff at the ticket office were unaware of the Klook voucher system but it didn't take long to sort out. The garden is an oasis in Penang and to look round fully could take 2 hours but if short on time, 30 minutes is enough. There is also an excellent Thai restaurant (Tree Monkey) on the same site. I love this place. Very informative and serene. I love the tea from the kiosk though there were many used cups when I came. I love this place. Very informative and serene. I love the tea from the kiosk though there were many used cups when I came.